Exocrine Pancreatic Insufficiency, often called pancreatic insufficiency, is the inability of your digestive system to break down and properly digest the foods you eat. Exocrine Pancreatic Insufficiency or EPI is characterized by the pancreas NOT producing enough pancreatic enzymes (protease, amylase, lipase) to promote normal digestion and the need for pancreatic enzyme supplementation. This condition can be mild or severe. Autoimmune pancreatitis: This is often caused by immunoglobulin G4 (IgG4)-related disease and can progress to EPI. What Are The Symptoms of Pancreatic Insufficiency? Only your licensed physician will know (hopefully anyway) for sure whether you have pancreatic insufficiency or parasites (example only). Frequent diarrhea. EPI can cause problems with the digestion process. As a result undigested food can move too quickly through the digestive tract. Not all people experience this symptom. There are many causes of diarrhea so just because you have a couple of days of it does not mean you have pancreatic insufficiency. However, if you do have (been diagnosed) with any of the above conditions that can cause EPI it would be prudent to ask your doctor to test you (especially if you have some of the following symptoms as well). Weight loss. People with EPI cannot digest fats, proteins, and carbohydrates found in the food they eat, which can result in weight loss. I’m not talking just a pound or two or even 10 that one may lose on a low fat diet. 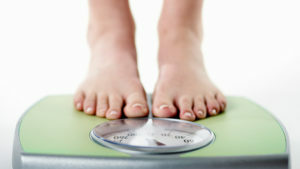 I’m talking severe weight loss that doesn’t stop even though you are eating two or three healthy meals per day. If the malabsorption is severe enough you could become skin and bone. IF your doctor has been oblivious, you need to bring it to his/her attention because severe malabsorption issues could be caused by EPI and you need to get a handle on it. Gas and bloating. People with EPI cannot properly digest the food they eat, which can result in uncomfortable symptoms like gas and bloating. Stomach pain. The gas and bloating caused by maldigestion in people with EPI will frequently result in stomach pain. Foul-smelling, greasy stools (steatorrhea). Steatorrhea is a type of bowel movement that is oily, floats, smells really bad, and is difficult to flush. People with EPI are not able to absorb all of the fat that they eat, so undigested fat is excreted, resulting in stools that look oily or greasy. Talk to your doctor if you notice oil droplets floating in the toilet bowl or stools that float or stick to the sides of the bowl and are hard to flush because these may be signs that you have EPI. 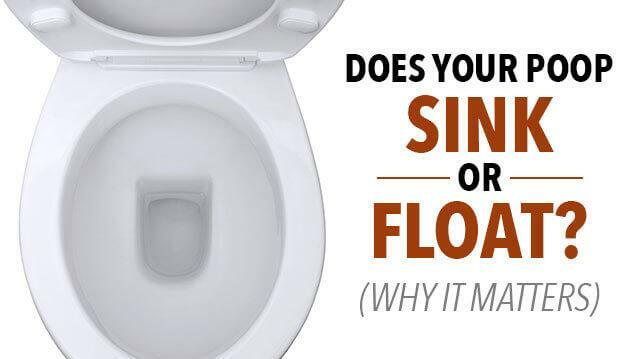 Does your poop float, sink or actually swim around the toilet bowl doing the backstroke? Maybe one day it floats, the next it sinks or maybe it even “bobs” up and down? Are you the type of person who NEVER checks out your poop? Yes you do! You look don’t you? Of course I have to look and view the bomb damage! And it is important to check out what that poo actually looks like. Is it rock solid or nice and soft? Oh wow it’s floating and looks like a battle cruiser! And if you’re like me you have probably wondered what makes my poop float? Scientifically she’s wrong. But who knew right? It probably sounded good to her at the time! But you probably still wondered, even as a kid, why some poop floats and why some sinks, right? If you are concerned about exocrine pancreatic insufficiency this discussion about poop may help because knowing your poop can actually save your life (in some cases). Yes, I am venturing off the path a bit, talking about stool appearance but bear with me and things will come out fine. 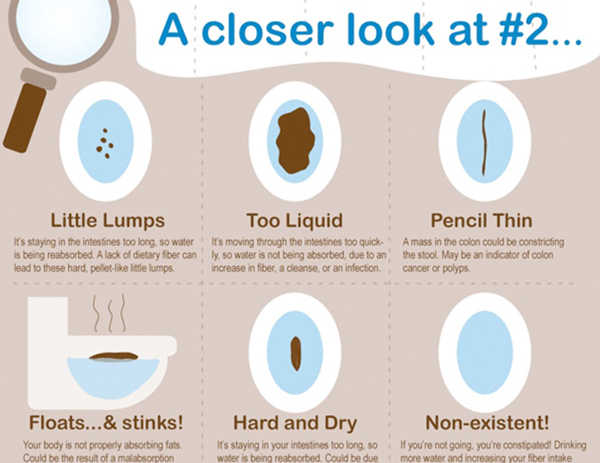 Your poop can actually tell you how healthy you are; at least to some degree. 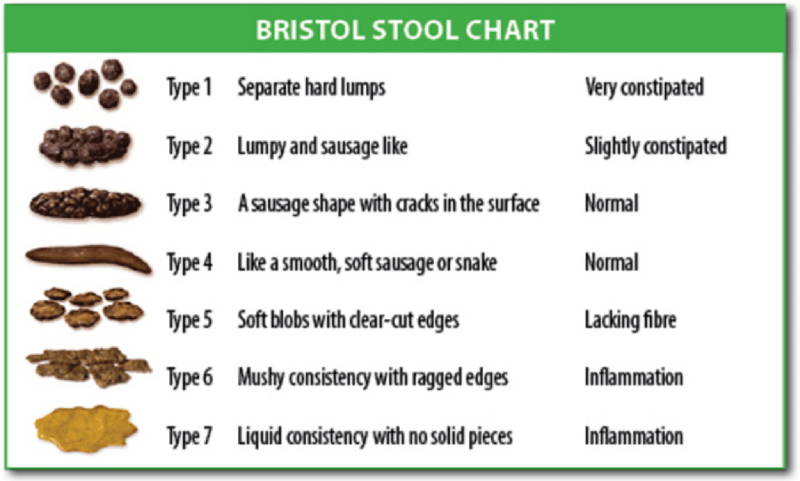 If your stool looks like a nice sized snake (not a skinny little devil suffering from starvation), is easily evacuated and looks like #4, in the following Bristol stool chart (yes the folks at the University of Bristol actually did a poop study and then published the study in the Scandinavian Journal of Gastroenterology), then chances are you probably have a well, oiled, finely tuned intestinal tract. What are the chances that you’ll now be looking at and rating your poop? You’ll do it all the time! If you ever happen to see that your poop looks like a nightcrawler (big long worm) as seen in the next chart top row, far right, rather than a nice sausage-shaped candy bar with peanuts #3 or a smooth healthy snake #4 you may want to make an appointment with your doctor. Stools that look like an emaciated snake or a long, big worm may signal a colon tumor or polyps. I think we’ve covered most of the important, basic information regarding exocrine pancreatic insufficiency and poop. If you think you have exocrine pancreatic insufficiency you should schedule an appointment with your doctor and get evaluated. Should you be diagnosed with EPI your doctor will likely prescribe pancreatic enzymes (Creon, etc) to help regulate your digestion. Hi Alan – You said “Please tell me” but I’m not sure what you are asking me. If you are asking me why you have had acute pancreatitis twice, or have been diagnosed with CP even after quitting drinking – I don’t know. That is up to you and your health care team to determine. I do know this … There is ALWAYS a cause or reason. The pancreas simply does NOT wake up one morning with a bad attude for no good reason. You may have a genetic variant (hereditary, alcoholic) that predisposes you to whatever form of pancreatitis you have (origin). For example you do NOT need to be a full blown, die hard, daily guzzling alcoholic to get alcoholic pancreatitis. All you need is the genetic variant and drink alcohol. There may be an underlying condition (autoimmune disease, gallstones, SOD, drug side effect, virus, trauma, toxin, etc) which has not been discovered that caused the original attack. I wish I could be more help. I’d have a heart-to-heart with the doc and make sure he did what’s necessary to find out what exactly caused the original attack and why he/she has diagnosed CP (usually due to damage seen on scans). Have had a horrific abdominal “attack” of pain for 4 days. could not eat much but drank fluids lots. I have gallbladder disease, have not had ir removed & control it with diet but eat allowed fats. My MD palpated my abdomen and suspects Pancreatic swelling. She balks at imaging due to fact I have had immense amounts of radiation imaging in the past year due to a serious head injury. I have an endoscopy coming up: what tests should I request?? Thank You Glad your there. hi, i had 2 episodes of acute pancreatitis. last one was 5 months back. Now i started losing weight. And my stool is greasy. doctor advised me to take creon 30000mg per meal. and this is coz of Exocrine pancreatic insufficiency. and im very much depressed… its highly costly. and i dont have any idea how long i should be in medication. 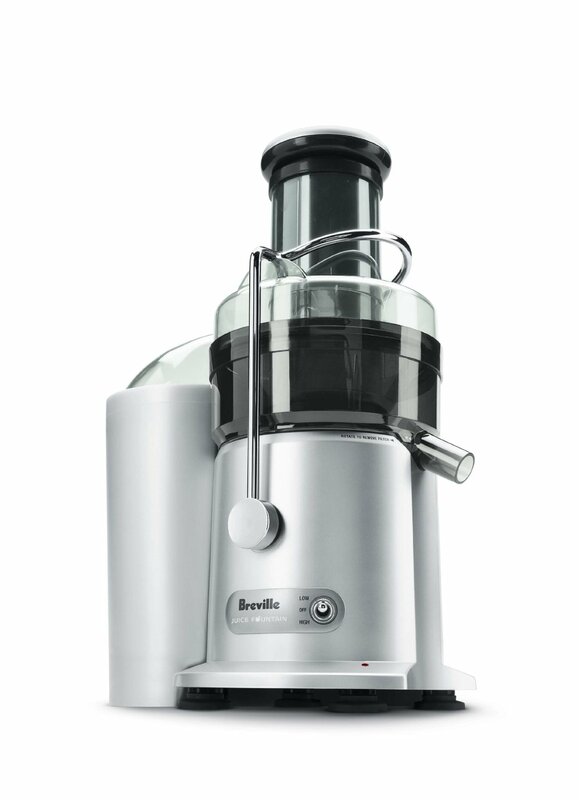 i want to know the best food to eat to heal my condition. as you said grape juice. bt grape juice is sour in taste. wont it hurt the pancrease? Hi Nishanth – sorry to hear you have joined the pancreatitis hall of pain. I understand your depression but cheer up it could be worse! 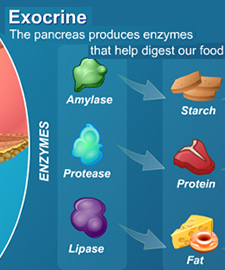 Exocrine pancreatic insufficiency usually necessitates the use of enzymes for life. Once the pancreas is damaged to the extent you need enzymes the chances for complete healing are remote. A proper diet diet (low fat) and supplements can help heal the pancreas but they do not cure the condition once extensive damage has been done. Grapefruit juice is sour but it helps a lot. IF you are on medication (other than creon) check with your doctor BEFORE drinking grapefruit juice or eating grapefruit to see if it’s ok. I know this isn’t what you wanted to hear but like I said it could be worse. So since im on creon i now have epi??? Hi Stephanie – not necessarily. You’d have to ask your doc that.